How to make your simple server Rotate steady without stopping or disconnecting after short interval. Its saddens my heart that many people still complain of one this automatic stop or disconnect issue with Simple Server. This problem have caused lots of people not to enjoy the unlimited download and browsing they should should be enjoying with Mtn Bis. Today I'll show you how to put a stop to this problem so you'd be able to sip your own portion of download with your downloading straw. You don't need to be me, a magician or a phone guru to carry out the process I'll be listing. You just need only 4 things, Which are; your brain for reasoning, your fingers for typing, your eyes for vision and your phone for tweaking. Since you can afford all this, let's get started. 1. Download xpose installerand App settings from here. It is in .zip format.. Unzip to view the files. 2. Install xpose installer, click on framework then click install/update. I have written about xpose installer before read more about the app here. 3. After your phone have rebooted, install xpose App settings. Don't launch it. 4. Goto xpose installer»»Modules»»App settings. Thick the box and the icon by the left. 5. You should see your list of apps. Select Simple server and input this settings. Look the icon on the right top of your screen. Click it and press OK.
Press the back button to save settings. You should see something like 'com.example.simpleandroidserver' in red format. If you see this, just know that you've solve that annoying problem and your Simple Server is now moved to your phone ram and recognize by your device as a system application. 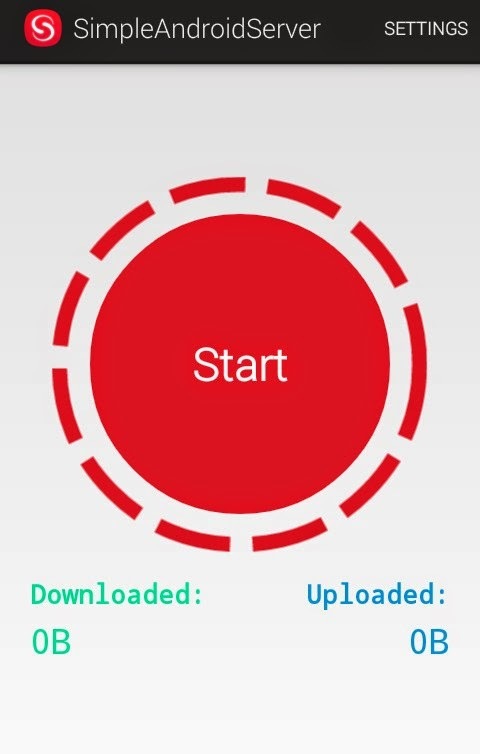 This will enable your connect non stop in background without unnecessary disconnection.